Read a honey of a book lately? 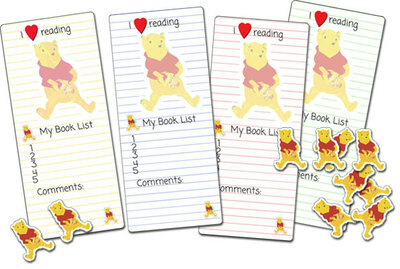 Get these Pooh Bear-esque bookmarks to keep you company while you read. There is room to write down books you've read, and a space for comments. Print them out on card. There are also wee bears to cut out and use as stickers. 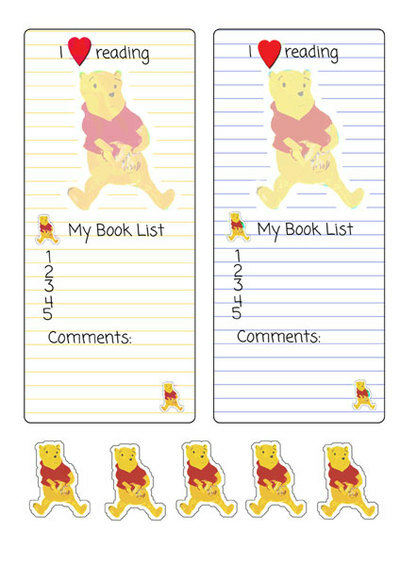 I love Winne-the-Pooh so when I seen these I just HAD to print them. Thanks so much.